With the news that Democratic presidential nominee Hillary Clinton is being treated for pneumonia — announced by her campaign following the candidate nearly fainting on Sunday — discussions about not only her health, but the health of her campaign, are breeding like rabbits. The harshest criticism seems to have come from one of the Democrats’ own: Former Barack Obama adviser David Axelrod took to Twitter Monday morning to call out Clinton’s issues around transparency. "Antibiotics can take care of pneumonia. What's the cure for an unhealthy penchant for privacy that repeatedly creates unnecessary problems?" Axelrod tweeted. While Clinton's campaign communications director, Jennifer Palmieri, admitted, “We could have done better yesterday" in regards to the health concerns, the whole ordeal drives home how much this election is not about facts, but about feels. 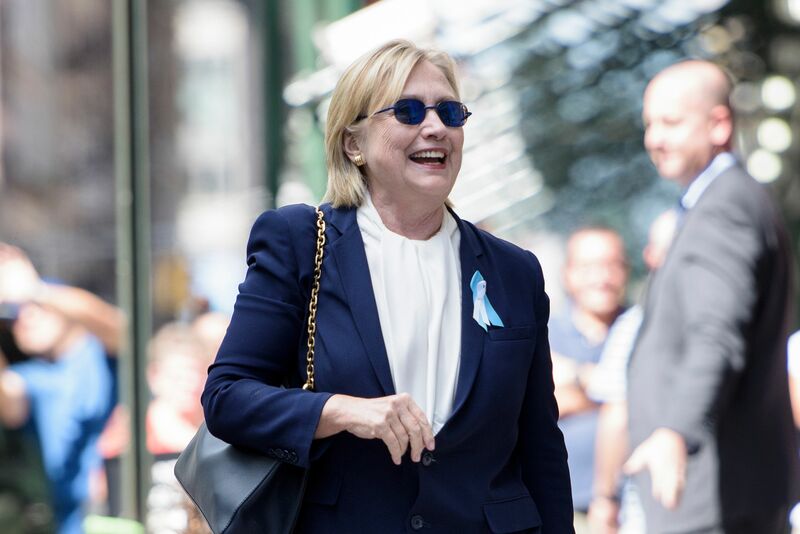 But let’s just, for s--ts and giggles, review the facts: Hillary Clinton, a 68-year-old human being, has been campaigning for the American presidency for at least the last 518 days (and that’s just counting from her announcement). This is an undertaking that I think we can all agree is physically demanding for someone of any age. She got sick, but tried to push through because this is a pretty important time for her campaign. Maybe there are some of you out there who, at the first sign of feeling ill, are able to take days in bed with tea and Netflix, but I’d imagine most of us have tried to push through at least one or two maladies because taking time off is not an option. But the facts here, while not totally irrelevant, are adjacent to the real battle being waged between Clinton and her Republican rival, Donald Trump. The real problem with Clinton’s collapse isn’t that any rational person believes that falling ill is some substantial failing on her part — it’s that it bolsters people’s preexisting anxieties about the Democratic candidate. But, once again, this isn’t an election that will be won on facts — any factual analysis of the two candidates shows that Clinton is imminently more qualified — but on feelings. Clinton’s illness — and the image captured of it — will reinforce many voters feelings of her weakness, secretiveness, and dishonesty. The winner of this election will be the candidate who can most effectively ride the waves of these feelings to the White House.